Sgioba-Rèis Albannach (Albannach Race Team) are a gang of part-time models, full-time GCs. We are represented all over the country in all disciplines of cycle-sport but Glasgow is our base and cyclocross is our one true love. 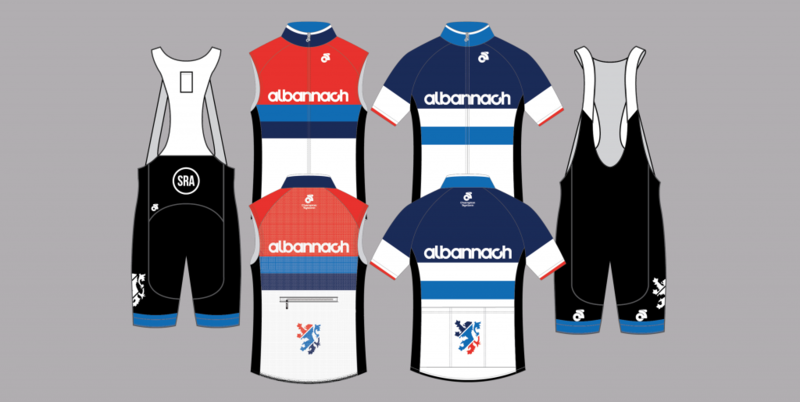 Not content with year-round kit SR Albannach have a summer and a ‘cross kit. 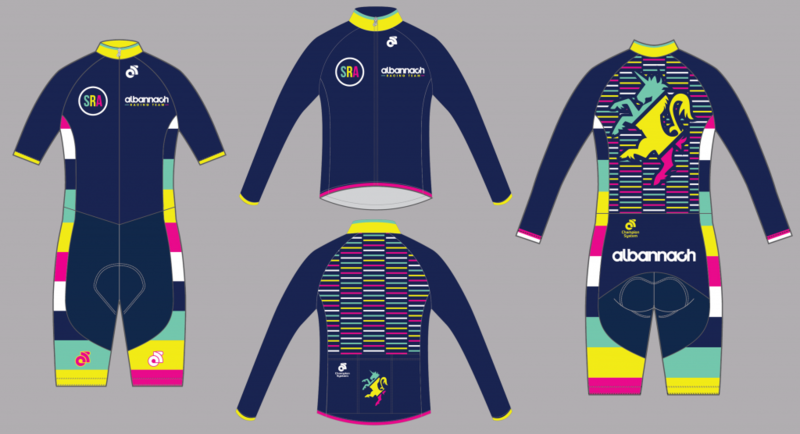 The summer kit is a clean and modern kit, designed for maximum souplesse, protected by our spirit animal, the Lion Rampant of Alba. Come the ‘cross season, we bring the milkshake to the parcours with a clash of m-colours (magenta, milk, mint, marigold and midnight) emblazoned with the Unicrois of Alba.